“Hi Guys, I am Samvit and today I am going to share my reviews about Network Bulls, Gurugram. My journey at Network Bulls has been amazing. I enrolled at this networking training institute in August 2016 for CCIE R&S course training. When I started my training, I thought is this the field that I really required but when it all started it was a totally new arena which came in front of me. Thanks to Apoorv sir for CCNA & CCNP R&S training. Thanks to Ajaypal sir for Cisco CCIE R&S training. They taught us how to troubleshoot the issues in network and also told us that we can never troubleshoot these issues without practical knowledge. They also taught us the practical implementation of the concepts and how to configure those things in real networking era. It is said that you can never be successful without practice & Network Bulls provides that practice via facilities such as 24*7 lab facility. It really helped us to practice and resolve our issues on daily basis. I would also like to thank Siddhartha sir. He taught us the skills of cracking interview sessions. He not only helped us with interview sessions but also with personality grooming sessions. Hundreds of students enter the field of networking but only are few are able to achieve success.For being successful in networking field one must have in-depth knowledge and hands-on networking skills. At Network Bulls, we provide in-depth knowledge of networking and impart training on real networking devices. Labs at Network Bulls, Gurugram are well-equipped with the latest Cisco devices and live racks. In addition, labs are open 24 hours a day so students can sit and practice for long hours. We aim at imparting quality training to students and making them an expert in the networking domain.  Check the views of our students and know more about Network Bulls.